A brief account of the life and times of one of the earliest recorded African warrior queens, Queen Nzinga (aka Nzinga; Dona Ana de Sousa; Ana de Souza; Zhinga; N'Zhinga; Jinga; Ngola Ana Nzinga Mbande), renowned for her strategic military tactics and political and diplomatic intelligence. Born as Princess Nzinga among the Mbundu (Ambundu) group of the Ndongo Kingdom in the central west Africa region now known as Angola. Her father was Ngola Kilajua, the word 'Ngola' referring to the title of the ruling chief, which later developed into the national name for the region. Her mother reportedly had no blood ties to the royal family within the landed chieftain system. Nzinga had one brother, Ngola Mbandi, and two sisters, Kifunji and Mukambu. Though she resisted Portuguese colonial occupation of central west Africa for over four decades, she officially ruled Ndongo from 1624-1626 and 1657-1663. The earliest European record of Nzinga was a report of her inclusion in her brother's envoy to an 1622 peace conference before the Portuguese's Luanda governor João Correia de Sousa. 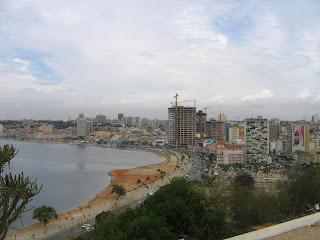 Luanda is an Atlantic coastal city, the largest city in Angola and the country's capital. An historical account of the conference includes the famous tale of Correia de Sousa's not offering Nzinga a chair, instead placing a floor mat before her to sit. In an 1690 book, the Italian priest Giovanni Antonio Cavazzi, in attendance at the court, memorialized the scene in an engraving whereby Nzinga asserts her status by sitting on the back of a maid servant within her royal envoy during the course of the negotiations. Though a treaty was signed with the Portuguese at this peace conference it was never honored by them. 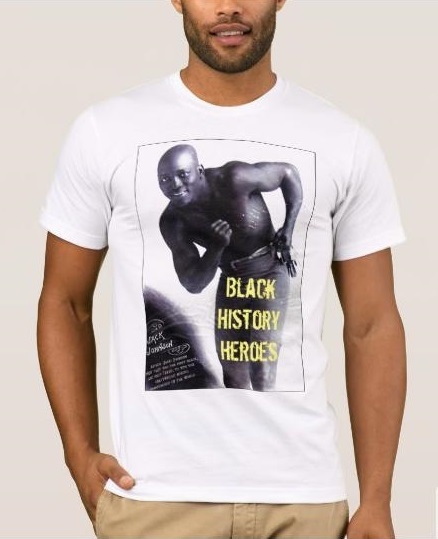 They soon hired the Imbangala (aka Mbangala) to fight against the Ndongo Kingdom as they pushed to capture slaves to further their national slave trading export interests to the so-called New World. 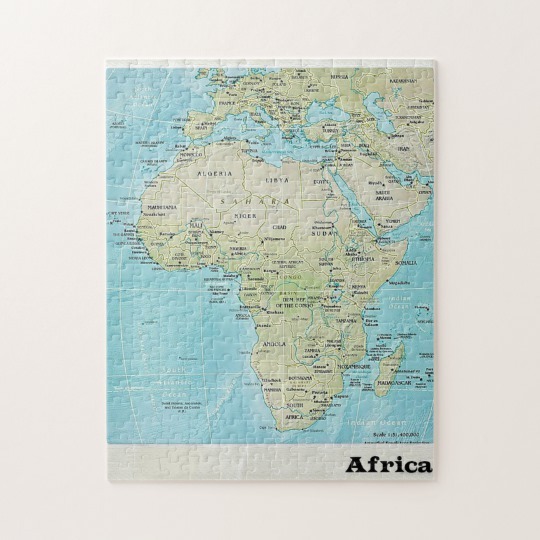 Prior to Nzinga's birth, the Portuguese had settled along the southern part of the Congo River and began moving up the Kwanza River Valley in search of slaves and gold. According to historical reports, the Imbangala in the 17th century mostly comprised bands of pillaging warriors native to this regions, founders of the kingdom of Kasanje. They aided the Portuguese colonial campaigns as early as those of Luis Mendes de Vasconcelos in 1618. The Imbangala's historical marauding customs were reportedly abandoned by the late seventeenth century. The Mbundu tradition prohibited women rulers. Upon Nzinga's brother's death she became regent to his son Kiza. She soon convinced the Portuguese to support her bid to the throne. In 1622, she was baptized and took the Christian name Ana, the surname of the Luanda governor de Sousa and the Portuguese title Dona. Hence Princess Nzinga became known as Dona Ana de Sousa in a political move to help secure her succession to the Ndongo Kingdom throne. The Portuguese began negotiating directly with Nzinga. The arrival of Fernão de Sousa in 1624 started with discussions with her, but because she was not submissive to the Portuguese, ended with her ouster from Kidonga. That same year she is reported to refer to herself as "Rainha de Andongo" (Queen of Andongo). 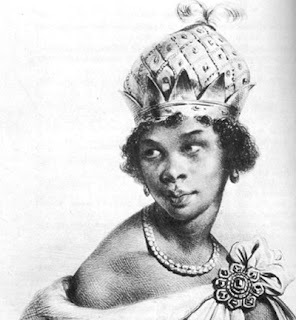 After the Portuguese ouster, Nzinga continued fighting against the Portuguese while in exile. She fled east but reclaimed the island in 1627. She was again driven out by the Portuguese in 1629, the year her sister was captured by their military forces. By 1641, Nzinga had entered among the earliest African-European alliance against a European nation when she entered into negotiations with the Dutch. In 1646 her army defeated the Portuguese at Davanga, but her other sister was captured. By 1647 her alliance with the Dutch was fruitful in the seizure of Masangano from the Portuguese. In 1648 her army retreated to Matamba, a pre-colonial African Kingdom located in what is now the Baixa de Cassange region of Malanje Province of modern day Angola. In an 1657 speech, Queen Nzinga reportedly stated to her army that an alliance with the Imbangala was then a necessary evil in the military war against the Portuguese. In the same year, however, she signed a peace treaty with the Portuguese. 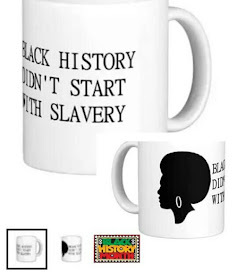 She had fought against their colonial and slave raiding attacks for decades. Queen Nzinga died on December 17, 1663 at the age of 80. Unfortunately, her death accelerated Portuguese colonial occupation, as well as their Atlanta slave trade activities in central west Africa. Thank you very much for such an enlightening story. 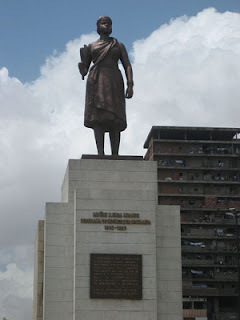 What a remarkable and extraordinary leader Queen Nzinga of Angola was!